 Two Rivers Cooperative is a four-location co-op in southeast Iowa. Keeping its member-owners at the heart of what they do and who they are, Two Rivers adds value to the communities they operate in, the growers they serve and the employee team they invest in. With headquarters located in the richly historic Pella, Iowa, Two Rivers perfectly balances remembering where they came from, holding the cooperative values high and progressively thinking for the future. Two Rivers Cooperative is one of the founding companies CornerPost Marketing was built upon. We originally began working with them in efforts to update their monthly member newsletter. Over the years we have modified and grown our service offerings to better fit Two Rivers, what they need and how they speak to their member-owners. One area of service we are particularly proud of is the updated brand “look” we established early on in our working relationship. The elements flow much like the two rivers flanking either side of the co-op’s trade area. We don’t use harsh lines and coordinating components can be found across both print and digital, as well as included in their updated website we designed, built and maintain. When designing the new website, we needed to build a site that was not only functional and branded to the co-op, but also provided the user with tools and resources the co-op determined were most beneficial to the user. An up-to-date blog and employee directory are two of those key features. The goal is the same across all medias-keep the branded look consistent and use language commonly associated with the co-op, ensuring cohesiveness and building and maintaining brand awareness.